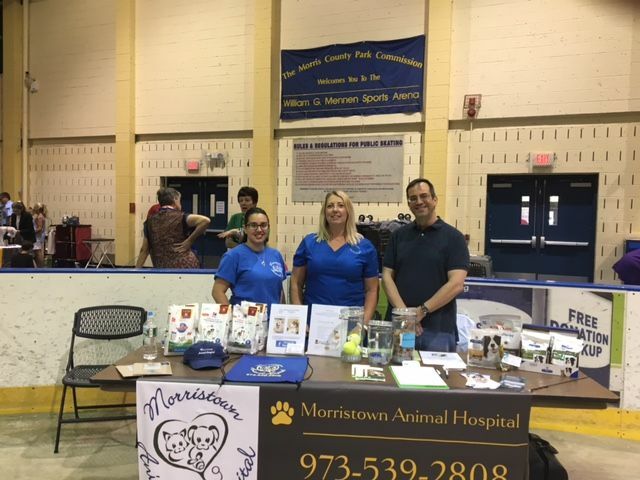 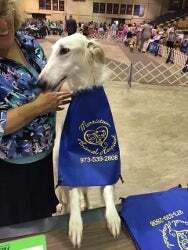 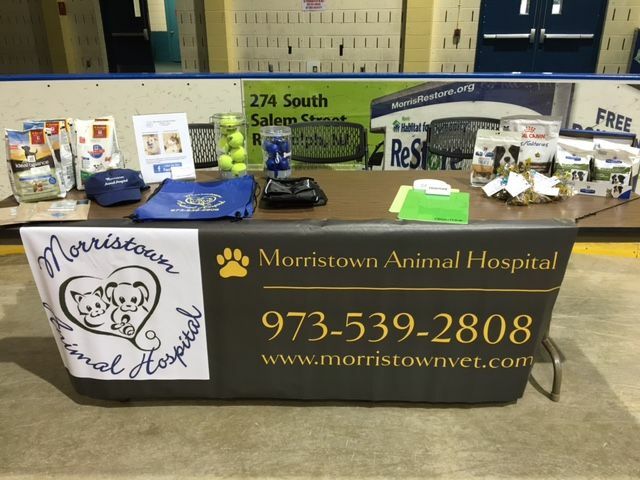 We had a great weekend at the Twin Brooks Kennel Club Dog Show! 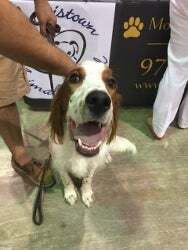 We made some new friends and saw some familiar faces at the show!! 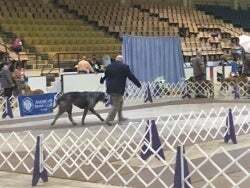 Some of the competing dogs came by to say hi!! 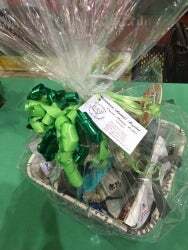 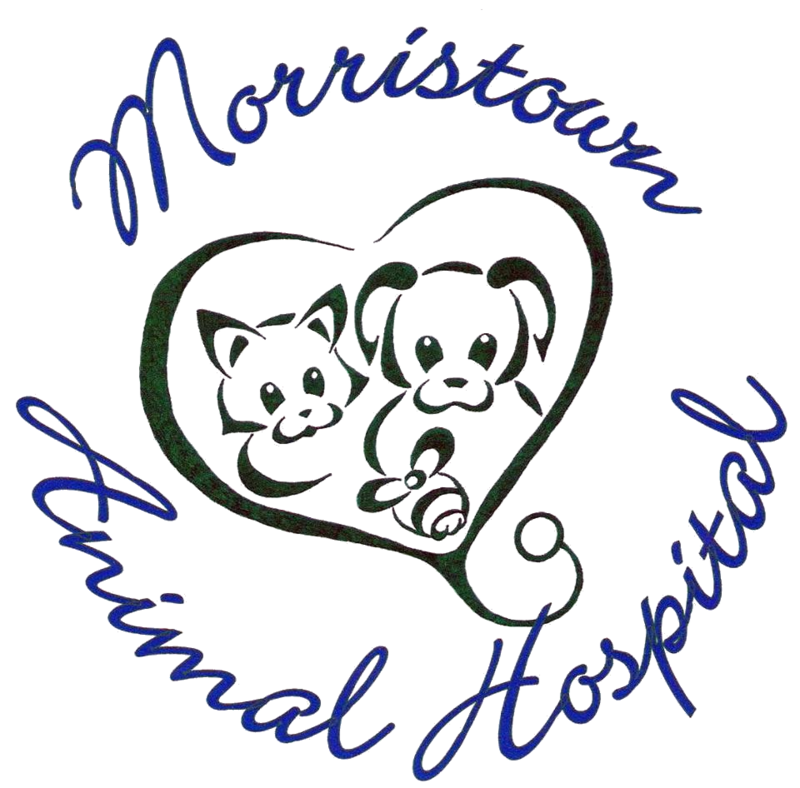 Above, the gift basket presented to the WINNER OF BEST IN SHOW BEGINNER PUPPY, from Morristown Animal Hospital. 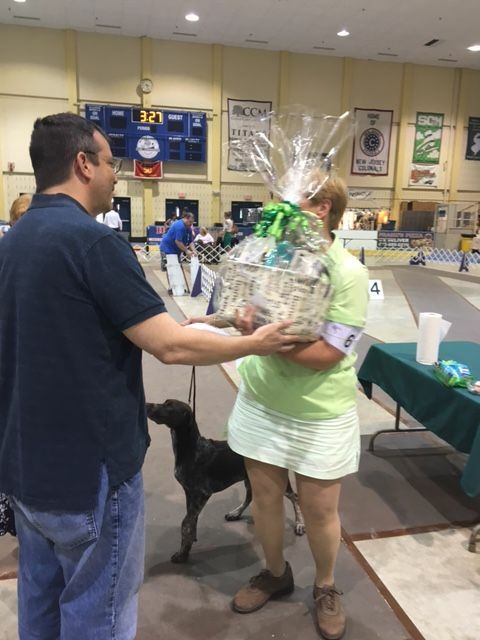 Below, Dr. Matalon presenting the winner with the basket!